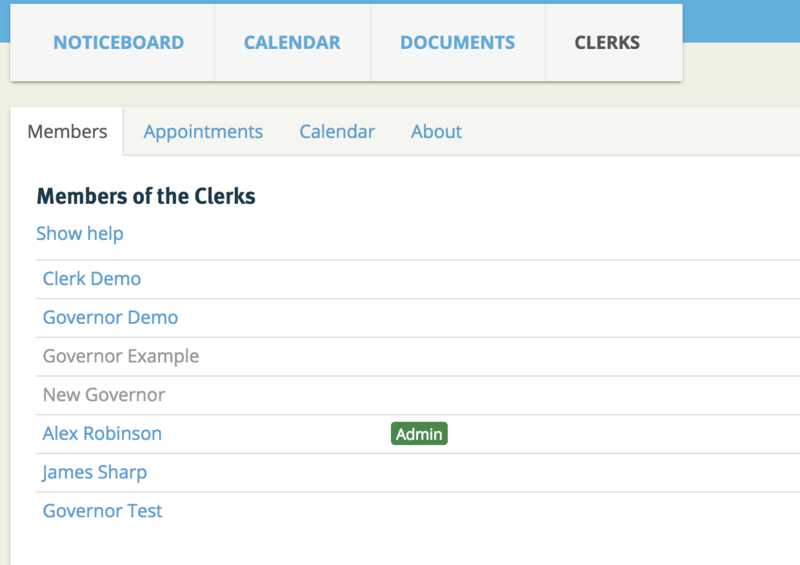 If you have a clerking service, there are some features in GovernorHub which will help you assign clerks to schools in GovernorHub. This function is all controlled from the Clerking Group. If you're not a member of this group already, go to admin.governorhub.com and the Home page and then click on the Clerking Group link. This Clerking Group is where you maintain the list of clerks in your clerking team, along with any administrators who manage the allocation of clerks to schools. This list is in the Clerks->Members tab. You can add and remove clerks in the same way you would add and remove members of any other group (see here if you want help on doing that). Once clerks are members of this clerking group then you can assign them to schools - which is described in this article.